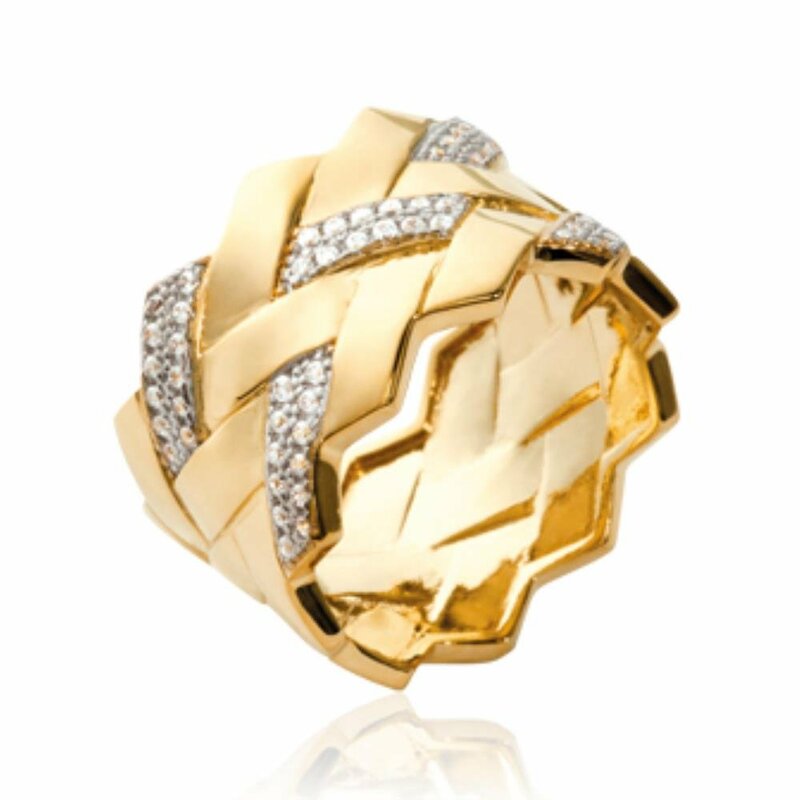 Very Nice Ring from “Bijoux Isady Paris”. Very special design that you just in finding in our Spring/Summer Collection 2018. All our Pieces are made from the finest Stainless Steel (316L), 925er Sterling Silver or 14ct yellow gold or 14ct white gold plated in addition to 18ct yellow gold plated. All white gold plated and silver Pieces have a rhodium cover that provides them that exceptionell shine. All 18ct yellow gold Pieces are plated with 3-5 Micron (“”18ct Plaqué Or” quality) all 14ct Pieces are plated with 1 – 1.5 micron yellow or white gold. The bottom metal is a jewelers base.